I can't resist a good "summer in a palette" kind of palette. It may be my love of the beach and summer or perhaps that I live in a beach city but I love anything that will give me that summer vibe. 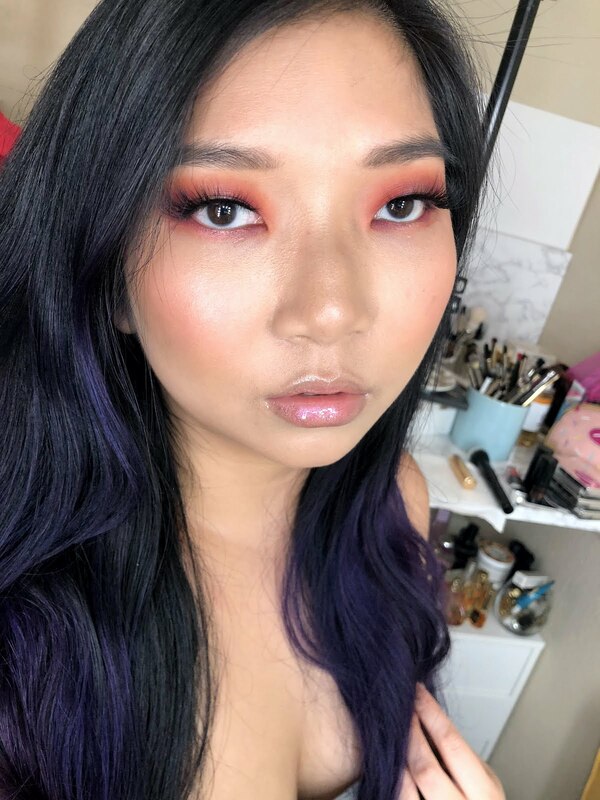 As soon as the promo pictures dropped for this palette, I was in love! Although I actually was tron on getting this palette because after seeing some swatches, the colors didn't feel very unique or special. Well, here are my honest thoughts on this palette. The NARS Atomic Blonde Eye & Face Palette retails for $59.00 USD and is available at Sephora and it is limited edition. 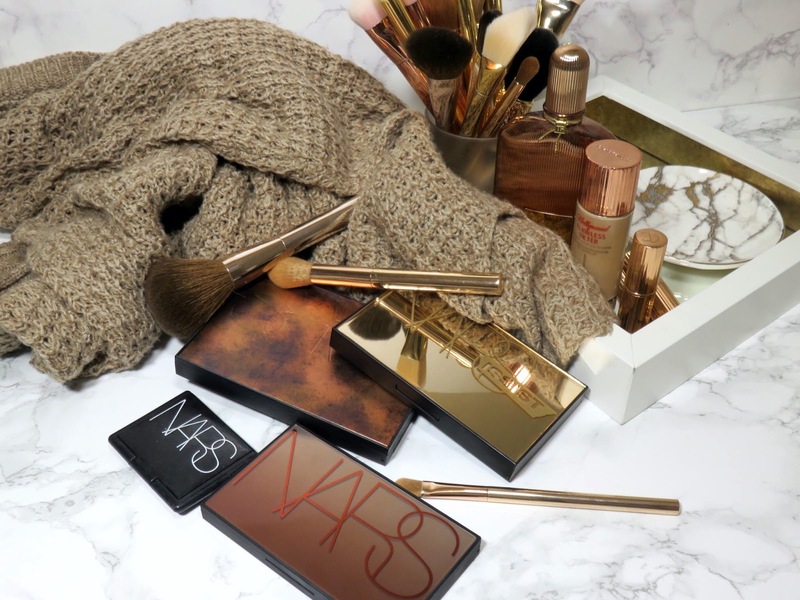 The packaging is a beautiful sand to coppery bronze ombre cover with NARS written in a reflective copper shade. So beautiful and such a stunning representation of what this palette is all about. The palette is a heavy duty plastic case with a large mirror inside, which has been pretty typical of many NARS palettes of late. It feels very sturdy and luxurious. I love having a large mirror on the inside for convenience and travel. It appears that Isolde II is from an existing duo and Galapagos is a NARS classic single eyeshadow. 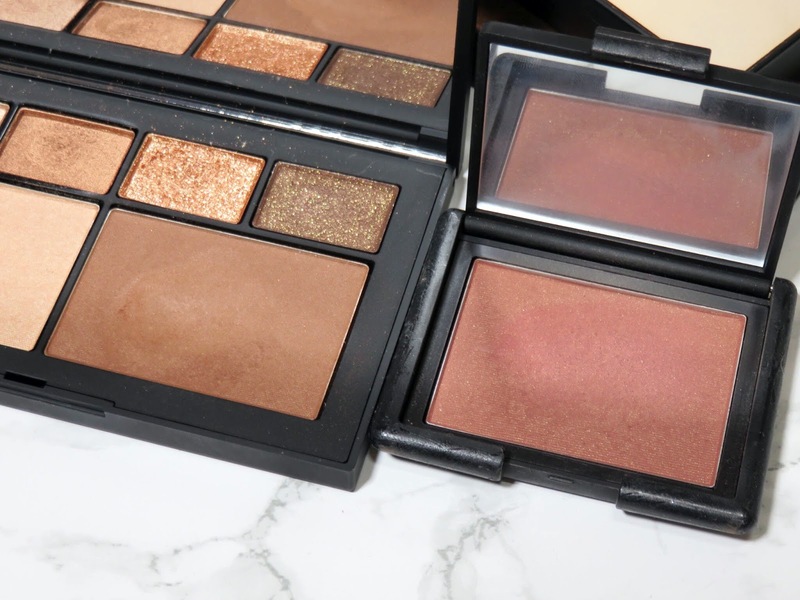 As for the other two shades, I don't recognize them but I know NARS is currently reformulating and relaunching their single shadow range, so we may see these other two shades offered individually in the near future. Icon - This warm champagne shade has pretty much a light rose gold shade and it has a very smooth texture. It applies beautifully and very smoothly on the eyes. It blends out very easily and makes a great lid shade. I do find that this shade seems to fade throughout the day, unlike the other colors. Isolde II - This shade is a shimmering coppery amber shade. It makes a beautiful crease shade even with the shimmer contained inside it. This shade is very pigmented and blends out very well. Kink - This is a very glittery copper shade that is quite chunky but it still adheres well to the eyes. It can have a bit of fallout but if you use a dense flat bush and pick up a little at a time, you should have no problems. The shade adds a beautiful reflective finish to the eyes, almost like a foiled effect. I didn't expect to like this shade at all because I thought it would be really messy and sheer but the color can build up very well. Galapagos - This shade is a deep matte chocolate brown with golden shimmer. On the eyes, the gold shimmer isn't really apparent and blends away. This shade is quite soft and fallout-prone. I recommend picking up a little at a time and building your intensity up. Last Call - This champagne highlighter leans just a pinch warmth, which makes it flattering for most skin tones. It offers a very soft yet buildable highlight. 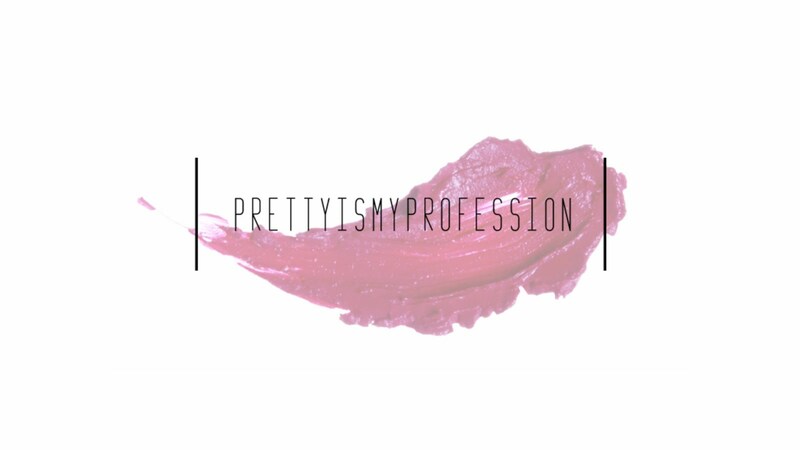 It doesn't emphasize texture or pores because the formula is quite smooth and soft. It blend very well into my skin and looks very fresh and glowing. 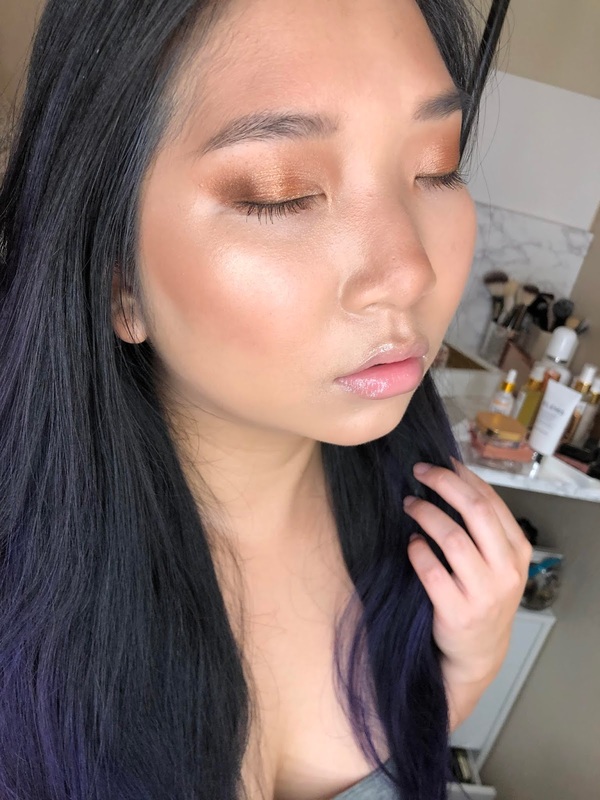 Unleashed - This bronzer has a very strong rosy-tone to it, so much so that on my medium skin tone, I find it somewhere between a bronzer and a blush. It remind me a lot of NARS Lovejoy Blush, which is a very rosy-bronze shade. I can still pull it off a bronzer but I find it a bit tricky. 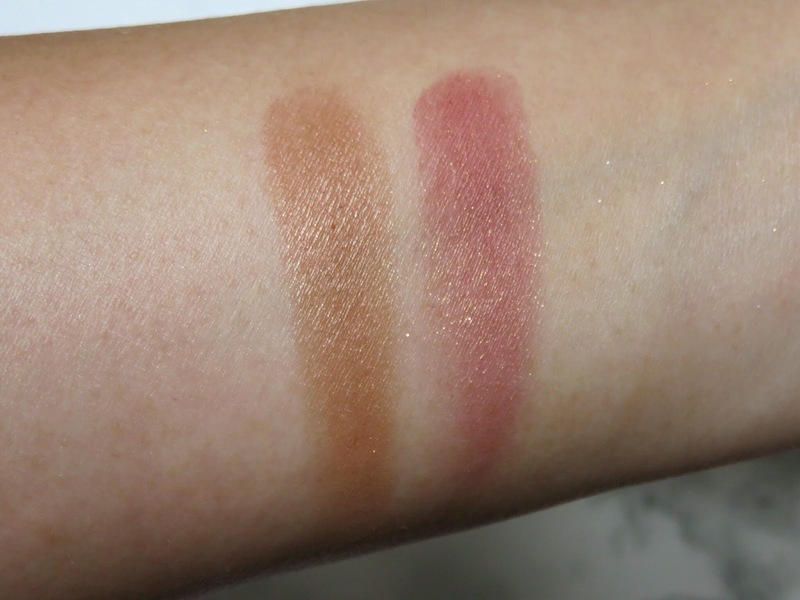 This shade is very pigmented and it doesn't apply very evenly and it is a bit difficult to blend out. 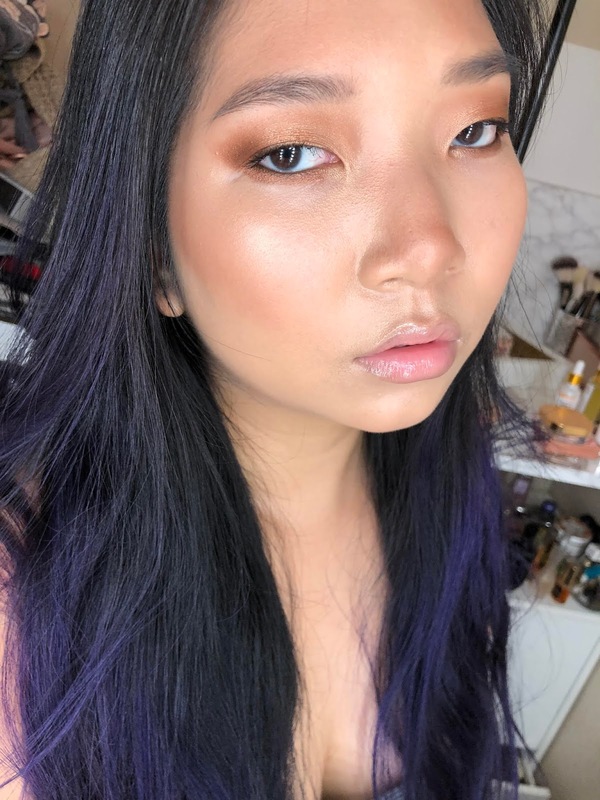 I initially tried applying it with a angled cheek brush but it picked up a lot of product and it didn't blend very well, leaving me with a very uneven and splotchy application. I find the best way to apply this bronzer is with a classic stippling brush. I dip the stippling brush straight in and it picks up a light amount of product but it is also evenly distributed on the tips of the brush hairs. I then, stipple the product on and it seems to blend very easily and looks very even. Like I said, this powder is very pigmented to staring with a little color and building up is best. I think the color is beautiful but I don't think it is suitable for all skin tones. 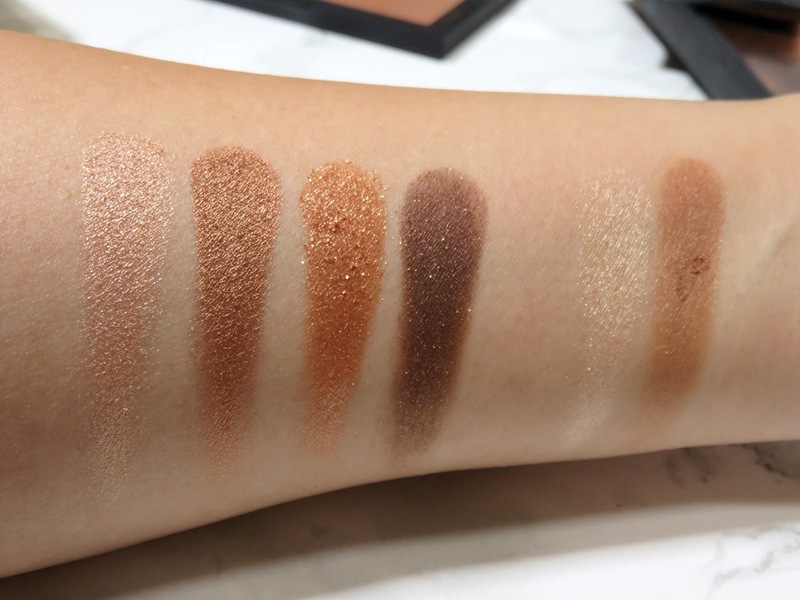 This works for me as a bronzer but I have to careful because it can look muddy and too rosy if I apply it too heavily, so I can't imagine what this is like on a lighter skin tone. I think it is ideal for a medium to tan skin tone. Lovejoy is much more rosy-toned than I thought. Unleashed is definitely more of a bronze shade. While I have really enjoyed this palette so far but I feel like this palette isn't very unique or special. 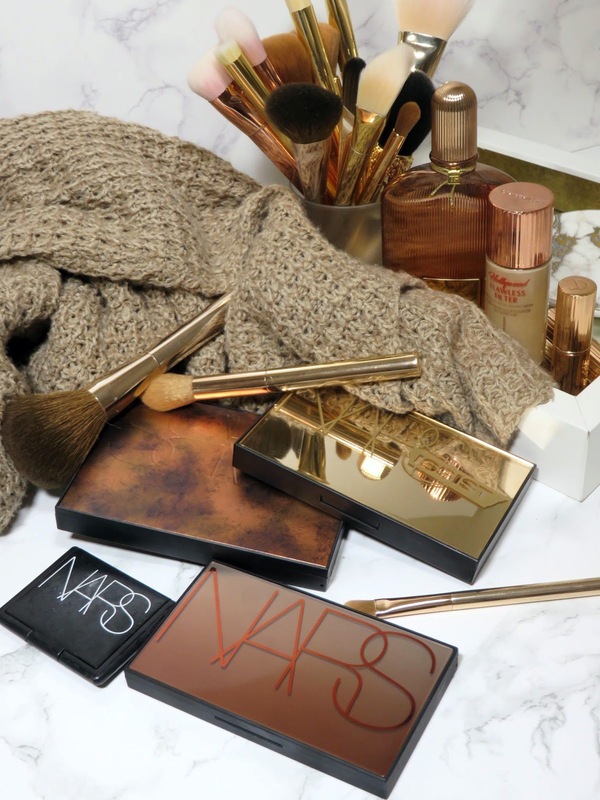 I love coppery warm tones basically year-round and this palette really satisfies the copper-lover in me. I think the one shade that most people will hate and people will use the least will be Kink because it is a glitter that can be tricky to work with. Like I said, I had no issues with it when I used a flat brush and built up the shade by patting it onto the lid. I will probably still not reach for this shade as often. I really enjoy the colors of this palette and the overall look it give me. 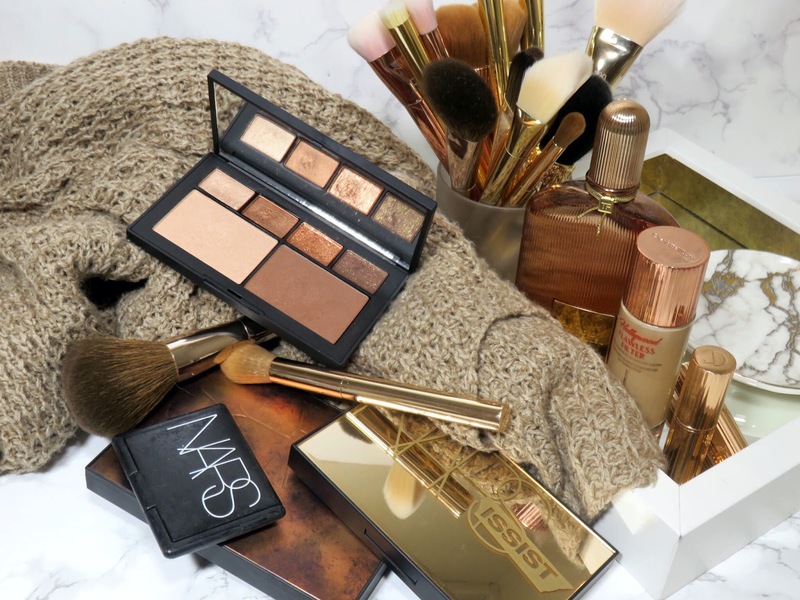 I do have a bit of a gripe with the bronzer because the formula isn't great and makes it very difficult to work with. The only way I was able to apply the product evenly was with a stippling brush and building the color slowly. 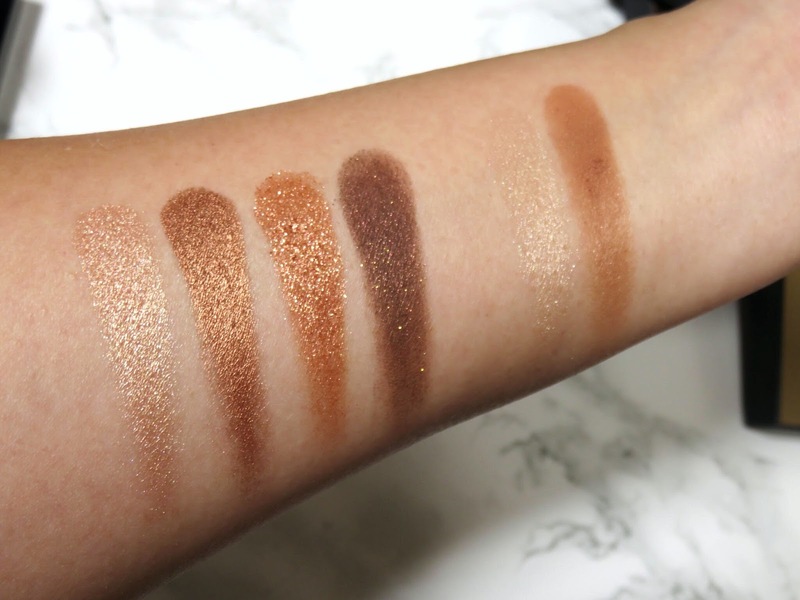 It is an unusual shade and while it is impossible to make one face palette that will work of all skin tones, this shade is a difficult one for most people to pull off as a bronzer. 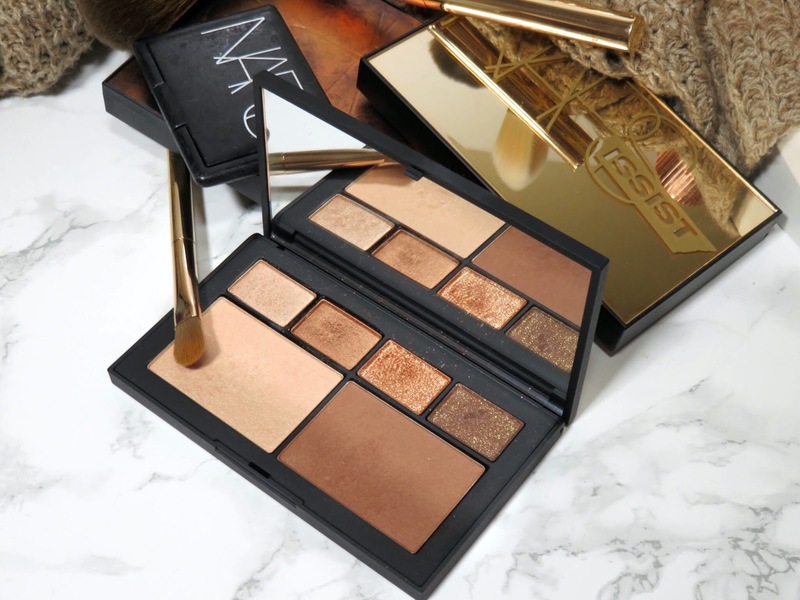 I have a hard time recommending this palette unless you really love these shade and you feel like the formulas are something you will wear regularly. 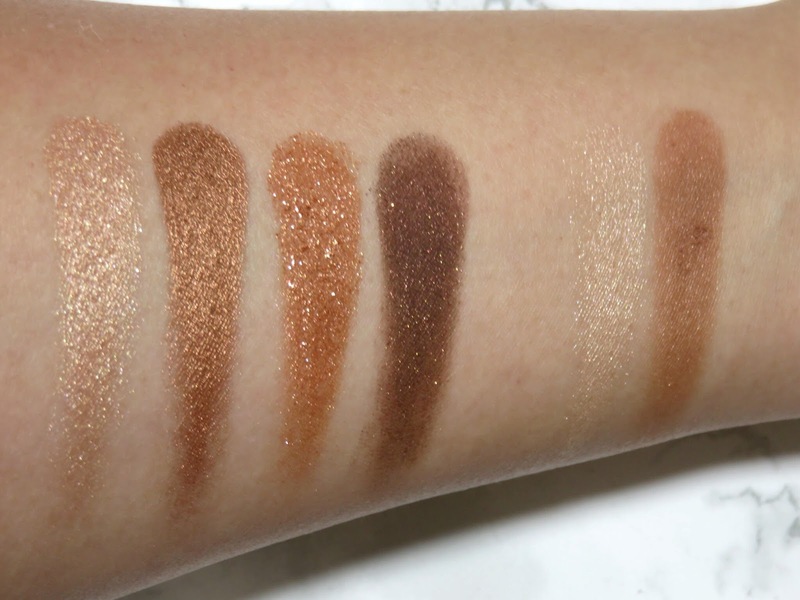 Also, I think many people who love warm tones probably have many these shades from different brands. 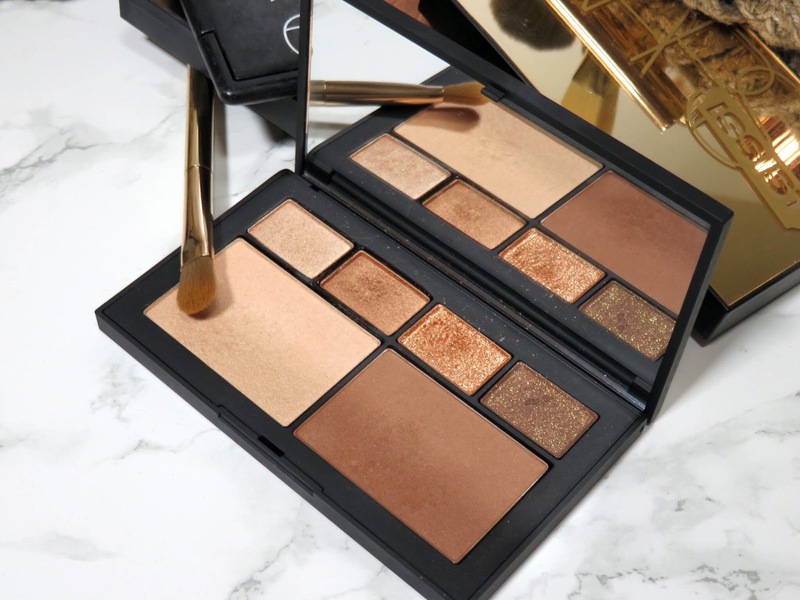 There isn't anything revolutionary about this palette of its colors but it is a very fun palette than can create a very beautiful bronze look. Eyes: Icon in the applied in the inner corner. Then Isolde II applied on the out corner and crease blended upwards. Kink applied to the center of the lid only. Galapagos applied to the outer crease and outer corner. Brown eyeliner smudged into the lashline and waterline and belnded out with a detail brush. Brows filled out with the Burberry Effortless Brow Definer. 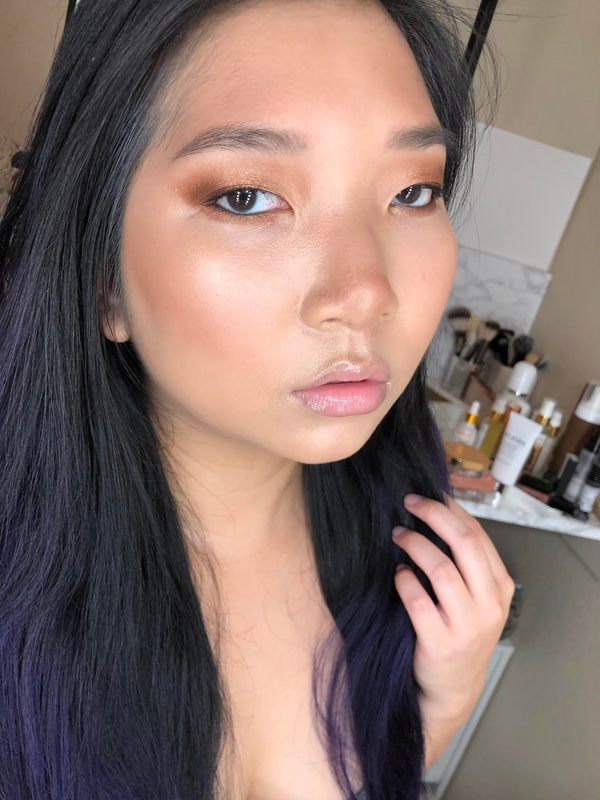 Face: Foundation is the La Prairie Essence-In-Foundation Cushion (full review here) and concealer is the Tom Ford Illuminating Highlight Pen in Dusk Bisque under the eyes. Unleashed Bronzer applied with a stippling brush in stippling motions on the cheeks, temples, nose, and jawline. 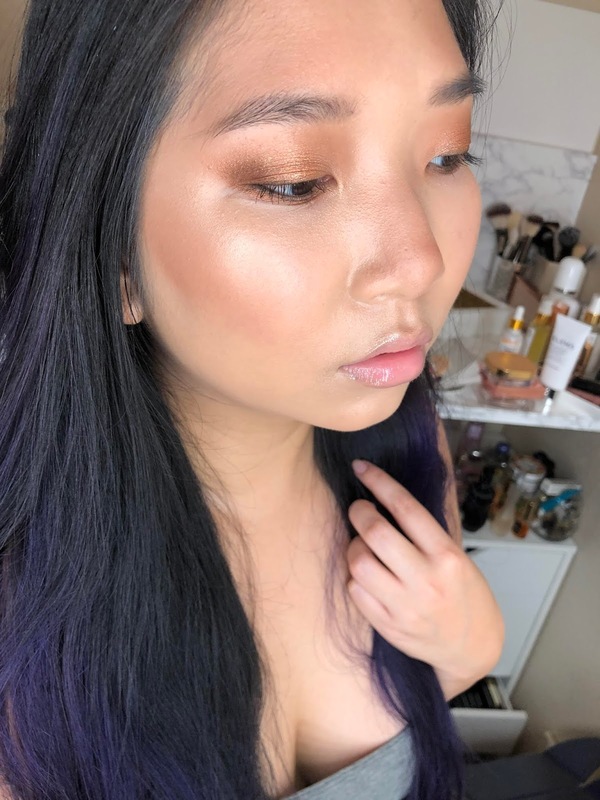 Last Call Highlighter blended onto the cheekbones, down the center of the nose, and on the cupid's bow with a small highlighter brush. Lips: Sisley Paris Phyto-Lip Delight Sensorial Lip Oil in 1 Cool applied on bare lips.